We are a team of therapists dedicated to finding collaborative and creative solutions that work best for you. Taking Control is a private practice, therefore we are able to customize your treatment. Email or call us for a free consultation and we will match you with the best therapist to fit your needs. Feel free to contact any therapist directly with his or her email link. 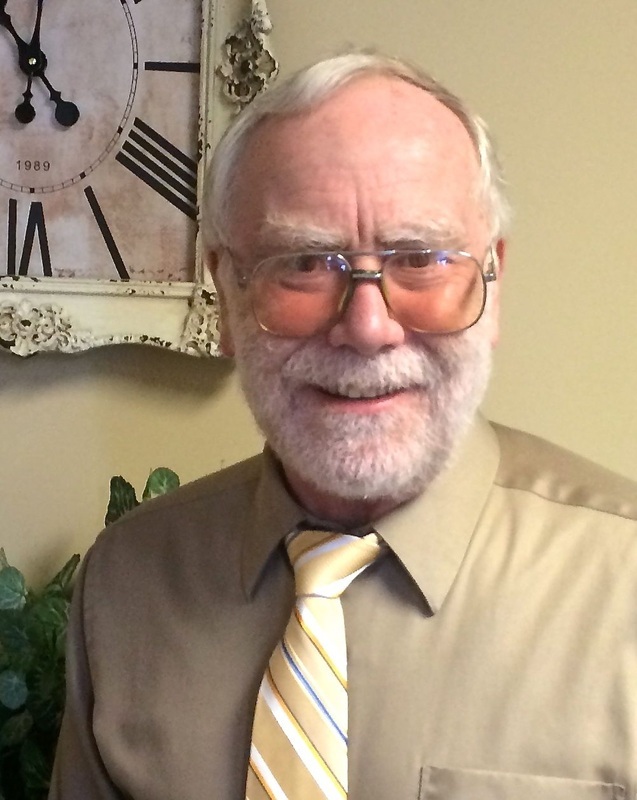 Dr. James Jorgenson has been in private practice for over 25 years. He received his doctoral degree in Counselor Education from Northern Illinois University in 1979, and has worked as an individual and family therapist since 1982. He opened Taking Control as a full-time private practice in 1987. Dr. Jorgenson has had extensive experience with a wide variety of mental health concerns, including depression, anxiety, anger management, domestic violence, and family issues. Christine Barker is a Licensed Clinical Professional Counselor (LCPC), and have been in private practice since 2010. She earned her Master of Arts in Mental Health Counseling from Lewis University. Christine specializes in working with individuals (teens and adults), couples, and families on a variety of concerns ranging from relationship issues, depression and anxiety, to personality disorders. She is also trained and experienced with Divorce Mediation Services. Brittany Roback earned her Master of Arts in Mental Health Counseling from Lewis University, and has been with Taking Control since 2013. Although she specializes in working with children and adolescents, she enjoys working with individuals of all ages. Brittany has worked with a variety of issues, ranging from family issues such as divorce, to personal issues of anxiety, depression, and substance use. "One of the hardest things in life is to ask for help. I respect this and that respect starts from the second you are brave enough to consider help. I believe that everyone has the potential to change the things in their life they would like to and can change when provided the right tools. I specialize in Children and adolescents as well as addiction services for all ages. I take pride in working closely with the client and their families to give themselves the bright futures they deserve. I provide a comfortable and respectful atmosphere where we can work together to get you the life you deserve". Adam L. Maldonado earned a Bachelor's of Arts degree in both Psychology and Philosophy from Northern Illinois University in 2007. He served as a Research Assistant and led his own Research Project in the Psychology Department at NIU. He obtained his Master's of Science in Mental Health Counseling from Walden University and has been with Taking Control since June of 2014. He has received special training in Dialectical Behavior Therapy, Trauma-Focused CBT, Multicultural Counseling, and Play Therapy. He had previous clinical experience with cases that focused on adoption, at risk youth, marital and family therapy, and play therapy with children. Adam is experienced in adolescent, couples, family and group therapy, and works with people of all ages and identities. He has focused on depression, anxiety, relationship conflicts, eating disorders, anger, self-esteem concerns, non-suicidal self injury such as cutting, substance abuse, attachment problems, ADHD and has worked extensively with Borderline Personality disorder. Adam adapts to the specific needs of each individual client with whom he works. ​"Therapy can be intimidating, and the fact that you are here says you recognize the need and are brave enough to consider it. It is a journey you will not take alone. Wouldn't it be nice to have someone who can help you make sense of the chaos and lighten the load on your shoulders by teaching you how to face it all? You are the author of your life, and I consider my role as an editor helping you to see and make the necessary changes to make your life work for you as best it can. Things are never set in stone and can always change, sometimes we just need the right momentum, direction and inspiration to do so. I firmly believe that I can help you with that while addressing the very unique person that you are. There is no singular way with which I approach the issues that my clients face. My approach is always supported with evidence of its effectiveness but will vary depending on the specific needs you have. Together, we can revise your story to be the kind you want it to be, join me and write the next page!" ​​Lindsey Grandt earned her Master of Science in Education degree in Clinical Mental Health Counseling from Northern Illinois University. Lindsey has been at Taking Control since 2016. Lindsey has experience working with a variety of issues including anxiety, self-esteem, and depression as well as providing services to individuals, couples, and families. She is highly passionate about working with members of the LGBTQ+ community, listening to their unique experiences and moving toward personal acceptance. ​Joanna VanLear is a Licensed Clinical Social Worker (LCSW). She earned her Master of Social Work Degree in 2006 and began working in Aurora, IL with a local non-profit agency. Several years of this work was spent as an individual and family therapist with an emphasis on work with adolescents. Joanna has extensive experience working with adolescents, families and adults experiencing anxiety, depression, anger management, domestic violence, family issues, self-injury, school non-attendance issues, divorce, and parenting issues. Joanna is able to provide Christian counseling upon request. “I believe there is hope for profound change through the creative collaboration of client and therapist. I strive to create a comfortable environment where clients are able to share their experiences, realize their strengths, and develop a plan for achieving their goals. I have extensive experience working with children and adolescents and believe that an integral part of this is providing support to parents and families. I also work with adults and couples who are seeking to improve relationships or address personal struggles with depression, anxiety, anger or personality disorders. Kyle P. Goodwin earned his Master of Arts in Clinical Mental Health Counseling from Lewis University, and has been with Taking Control since 2016. He specializes in working with adults and adolescents, but enjoys working with individuals of all ages. Kyle has worked with a variety of presenting problems, ranging from family issues such as divorce, depression, domestic violence, sexual assault victims, and post-traumatic stress disorder (PTSD). Due to his military background, he has a special interest in working with veterans and former first responders.
" We as a people have the ability to triumph adversity and conquer what life throws at us. Albert Ellis once said, ‘You have considerable power to construct self-helping thoughts, feelings and actions as well as to construct self-defeating behaviors. You have the ability, if you use it, to choose healthy instead of unhealthy thinking, feeling and acting’. My approach as a counselor is to become a Fellow Traveler, understanding the person as a free and responsible individual, helping them to determine their own development through acts of the will." Brad Travis is a Certified Addictions Counselor with 20 years of experience in the field. He aims to give clients the knowledge and skills to handle the various issues that may become disruptive to their lives. His services include anger management treatment and counseling, substance abuse treatment and counseling, DUI classes, adult and youth mentoring, individual therapy sessions, and group therapy sessions. "The good news is that no matter how complicated life gets or how difficult problems may seem, good thinking can make a difference – if you make it a consistent part of your life. The more you engage in good thinking, the more good thoughts will come to you. Success comes to those who habitually do things that unsuccessful people don't do. ﻿Achievement﻿ comes from the habit of good thinking. The more you engage in good thinking, the more good thoughts you will continue to think. It's like creating a never ending army of ideas capable of achieving almost anything." with children and adults who experience difficulties with anxiety, depression, grief, adjustment, and inter-personal relationships. Due to his family background, he also has a special interest in working with first responders who experience traumatic events and heightened levels of stress. Tiffany Wu (Heng Chun Wu), M.A. Tiffany Wu has a Master's degree in Counseling Psychology and specializes in Marriage and Family therapy. She is also working on becoming a licensed Marriage and Family therapist. She uses a variety of approaches to help her clients, depending on individual needs. She is trained and uses Cognitive Behavioral Therapy, Motivational Therapy and Psychoeducational Therapy. Her experience includes working with clients dealing with divorce and single-parenting, addictions, grief, women’s issues, and mood disorders, among other challenges. She believes that she is uniquely qualified to assist clients facing their issues. "As a mental health clinician, my goal is to help my clients explore themselves to make the changes in their lives that will allow them to have a happier future by their own definition. I believe that we all need someone to talk with who will really listen and accept us as we are, without judgment. I provide my clients with a warm, nonjudgmental environment -a safe place to explore the issues that you want to discuss with me. I was trained as a plastic surgeon in China for 9 years. I also speak Mandarin and provide bilingual counseling services to my clients." Dana Pauley is a Licensed Professional Counselor (LPC). She earned her Master of Arts in Counseling Psychology from Lewis University and has been with Taking Control since June 2015. Dana is experienced in working with adolescents and adults. She has a strong passion for working with clients who are working through grief and trauma, as well as depression and anxiety. Having a Master of Science in Criminal/Social Justice, also from Lewis University, Dana has a strong interest in helping those who work in the criminal justice system. Chelsea Bogda completed her Master’s of Science in Clinical Psychology from Benedictine University and has been with Taking Control since 2017. Chelsea has experience working with a variety of ages from young children to older adults. She has worked with individuals experiencing symptoms of Anxiety, Depression, life transitions, grief and loss, and much more. She utilizes an eclectic approach to counseling, tailoring her strategies and interventions to the presenting individual. She often incorporates modalities including client-centered, mindfulness-based, and dialectical behavioral therapy (DBT). As Maya Angelou once said, “There is no greater agony than bearing an untold story inside you.” We all have a story, and in today’s society, it can sometimes feel that no one understands or truly hears what we are trying to say. I believe therapy can offer a nonjudgmental and empathic environment for these stories to unfold. By working collaboratively, therapist and client can explore how these stories have helped to shape who we are and lead us on a journey of who we wish to become. I am passionate about walking alongside my clients on their individualized journey towards self-discovery, growth, and peace. Andre Joachim- is a Licensed Professional Counselor for the state of Illinois. He completed his Masters degree in Clinical Mental Health Counseling. He has worked with treatment courts for the past few years. His experiences with adults encountering the criminal justice system has included interventions for substance abuse and/or criminal thinking. Andre has worked with youth, outside and inside the criminal justice system, to assist in their development of prosocial life skills, career exploration, goal attainment planning. In addition to his work as a mental health court counselor, life coach, and mentor. Andre has provided counseling services for college students working through issues related to self-esteem, career development concerned, relationship dissatisfaction, self-harming, anxiety, and suicidal ideations. "Having Vitiligo, I know personally how hard it is to find strength through life's adversities and establishing self-efficacy and self-acceptance can be a difficult process, but it is not impossible. Throughout life, we all experience transitions that influence our health whether it is physical, emotional, psychological, or spiritual health. I love the intrinsic feeling of assisting someone as they transition to a higher sense of awareness or finding equilibrium for the obstacles, barriers, or problems life throws our way." Laura Leddy earned her Master of Arts Degree in Clinical Mental Health Counseling and has been with Taking Control since 2016. Laura is bi-lingual in Spanish and English. Laura specializes in working with adults and adolescents, couples and families, however would also enjoy working with children. Laura completed her internship at Linden Oaks hospital. Laura has experience in working with issues including depression, anxiety, trauma, bi-polar, borderline personality disorder, family and marital conflict. Rita Wiermanski is a Licensed Social Worker, a Certified Alcohol and Drug Counselor and a Certified Anger Management Specialist and has been in the field for over 5 years. She received her Masters of Social Work at St. Ambrose University. Rita has worked with a range of clients including adolescents and adults with substance use, mental health, behavioral and relationship issues. She specializes in working with adolescents and young adults with depression, anxiety, behavioral issues, anger and self-esteem issues. Caitlin Patterson earned her Master’s of Science in Clinical Psychology from Benedictine University in 2017 and completed her clinical internship at Taking Control. She has a passion for working with children and adolescents, but equally enjoys working with adults, couples, and families. Caitlin has extensive experience working with children in different capacities including being a nanny, coaching children’s sports camps, and working at an early childhood center. She also has experience working with individuals with issues such as anxiety, depression, relationship difficulties, post-traumatic stress disorder, behavioral issues, and school refusal. Caitlin has also worked with children with Autism as an ABA therapist. Katie Andersen earned her Master of Social Work degree and Certified Alcohol and Drug Counselor certification from Aurora University. She enjoys working with teens, athletes, adults, couples, and their families on a variety of presenting problems ranging from anxiety, depression, relationship and co-parenting issues, self-injury, and substance use disorders. "My goal for someone who comes in for individual therapy is to provide a safe and welcoming environment. I understand that dealing with life’s challenges are uncomfortable and feels impossible to overcome. By taking the next step, we can look into how you can overcome the obstacles that have interfered with you move forward in your life." Kellie Marcus earned her Master of Arts degree in Clinical Mental Health Counseling with a concentration on children and adolescents from Lewis University. Her passion for working with children, adolescents, and adults is seen in both individual and group settings. Kellie has experience working with various issues, such as depression, anxiety, anger, grief, and adjustment disorders. She enjoys connecting with her clients and providing appropriate treatment accordingly. Alice Pierce earned her Master of Arts in Clinical Mental Health Counseling with a focus on children and adolescents. Alice has experience working with individuals and groups of all ages; including Anxiety, Depression, PTSD, grief/loss, suicidal ideation, as well as many more. She has a certificate in Domestic Violence and Sexual Assault with a passion for the field. “Coming to therapy can be intimidating. I am here to help make the process easier and guide you through changes. Sometimes all that is needed is a helping hand. I offer a safe space to all those that wish to grow as an individual. I work alongside clients and adapt sessions to fit the individual”.